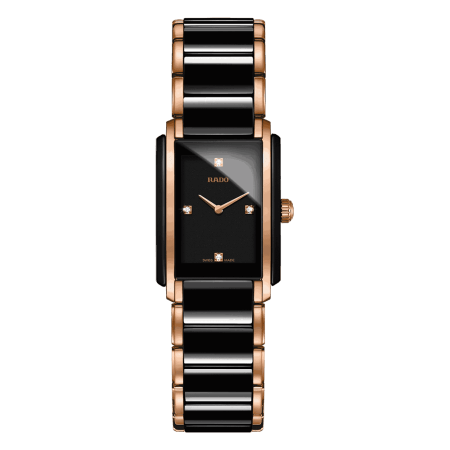 Rado Integral – If the Rado studio were a luxury garage, the Rado Integral would be the buffed-up DeLorean in the corner. This 1980s cult classic is an early release that has become highly collectable. Parallel lines, high shine, and a crystal-clear watch face have given it the status of an icon. At the time of writing, Rado has only a dozen collections (or ‘families’). Since 1917 the Swiss watch maker has worked on expanding its design catalogue slowly and elegantly, refining each new model before releasing it on general sale. Watch collectors patiently await each collection, which, coming from Rado, is frequently remarkably innovative or entirely original. What was amazing about the Rado Integral? This style was launched in 1986 (the shape betrays its birthdate). But it wasn’t just a beautiful piece of watchmaking. It introduced the watch world to high-tech ceramic. Created by forging ceramic at an incredibly high temperature, this brand new material gains the appearance of metal (with a rose, yellow, or platinum hue). From the outset, the brothers at Rado wished to produce watches that were robust and practical. High-tech ceramic met their brief; it is super strong, scratch-resistant, and light. Combined with another early discovery – sapphire crystal – the Integral watches are easy to wear and extremely tough: perfect for everyday life. The Integral family is a very distinctive collection of watches. The rectangular style, particularly in the high-contrast gold/black, has an 80s design that appeals to the historic watch collector. Accented with tones of platinum, rose or yellow gold (produced in high-tech ceramic), the look is sleek and striking. Integral Diamonds is a women’s collection in a slender size with diamonds mounted around the watch dial. Every watch in the Integral family features the super-strong case cast from one piece of high-tech ceramic with sapphire crystal and quartz movement. If you’re looking for a different style, browse the collection using the search box: the sporty Rado Hyperchrome Chronograph is another signature piece from the watchmaker; the Coupole has a real variety of looks built from sturdy foundations; and the True Thinline is an ultra-modern work of art. Keep a close eye on this page and you might catch our seasonal Rado watch sale. 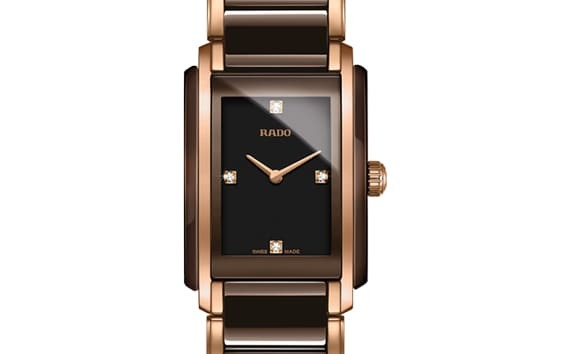 As a long-established stockist of Rado, we are able to offer good savings on the RRP. 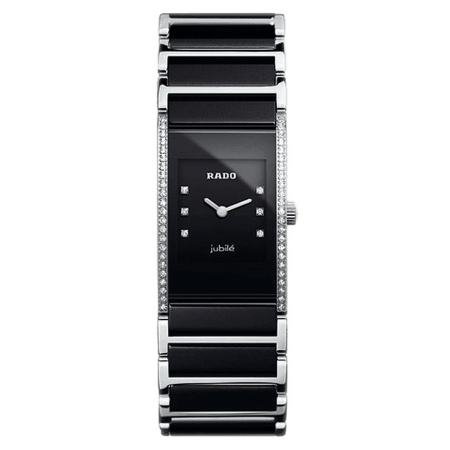 To be kept informed about our next Rado watch sale, simply sign up to the PureJewels email service.